It’s less than a week till I shall be making camp on the Lower Kahiltna Glacier. Packing has now become of great importance. 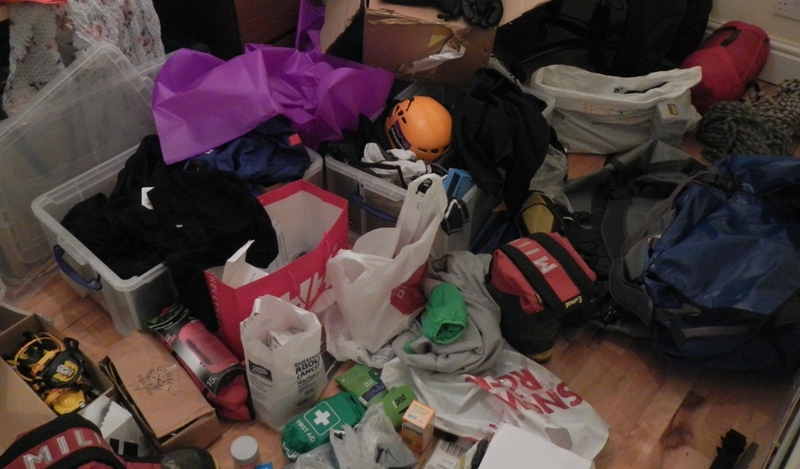 In any trip, I like to pack, unpack, repack and memorise where everything is. That means when I walk into camp tired and cold, I instinctively know where all my kit is. I’ve been recommended to buy a few stuff sacks for my all my kit. 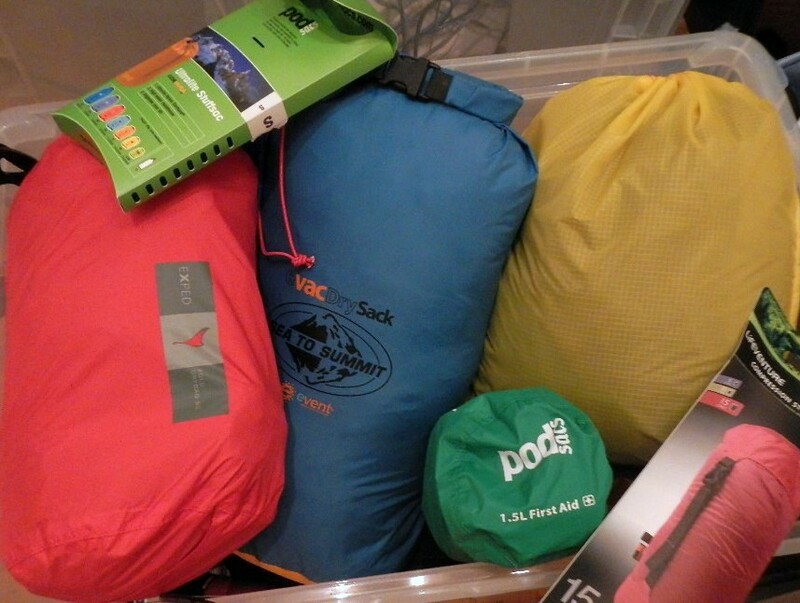 There are plenty of companies that do great bags, such as Sea to Summit, Exped, podSac and Lifeventure. Indeed I have at least one from each of these companies. But I couldn’t help myself wondering if I could make myself a simple stuff sac that is water repellent and durable, with a drawstring, at a lower cost than something commercially available, in the exact colour and volume I desire. So the seed was sewn (pardon the pun). I set about buying a few metres of 45gsm and 65gsm rip-stop fabric (try the helpful and efficient ripstopshop.co.uk if you wish). Add to that some 3mm shock cord from Cotswolds and a pack of five push-down cord fasteners from podSac. Plus a classic crème coloured Bernina sewing machine and 100% polyester thread and I was good to go. 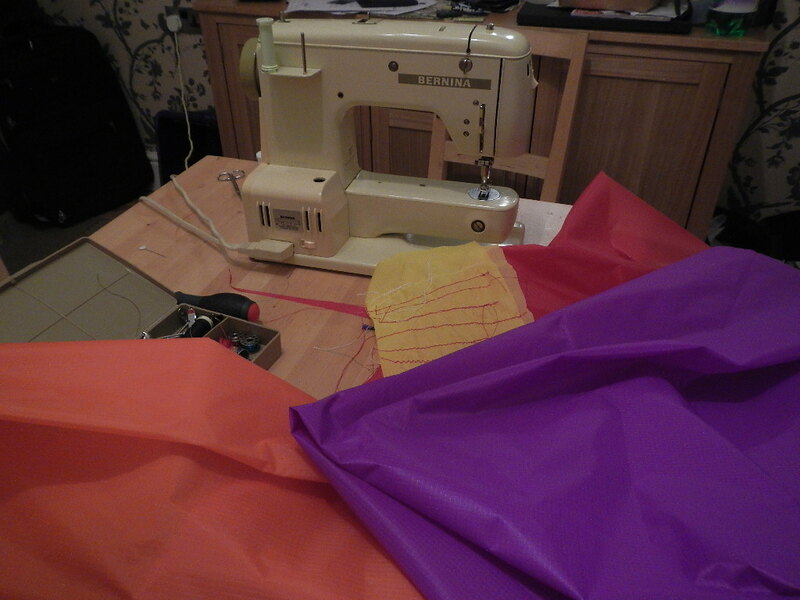 Each of the bags I sew are reinforced with double-stitching around the edge of the seams and I have tested samples till either the rip-stop fabric of polyester thread rips. I’m using the bags for grouping various expedition kit, like one bag for general clothing, another for headgear and eyewear. Did I succeed in my task? Perhaps I bought too much fabric and spent a few hours tailoring the bags, but overall they are cheap, light and bomb-proof bags that I will count on in the mountains. Whatever ytou are up to this Jubilee weekend, have a great one!